When you think of North Carolina, chances are “vegan-friendly” isn’t the first thought that pops into your mind. Activist/musician, Eleni Vlachos (a vegan) along with chef/musician Shirlé Hale-Koslowski (not a vegan), decided it was time to change that. Durham, NC — a.k.a. “Bull City” — is said to be known for its diverse culinary selection, but vegan selections are sparse to nil. Yet, the Triangle Vegan Thanksgiving brings in between 600-800 people each year, and recurring Durham vegan brunches typically serve 100 people within the first hour. 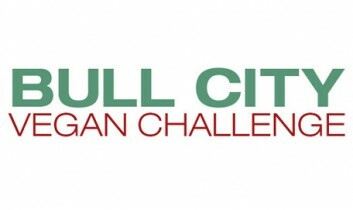 For those reasons — as well as a keen yearning for more vegan food (a yearning we can all certainly understand) — Eleni and Shirlé founded the Bull City Vegan Challenge. During the month of October, they are recruiting top Durham chefs to create a vegan entree in one or more of five categories: appetizer, breakfast, lunch, dinner, and dessert. To avoid your run-of-the-mill hummus and pita dish (delicious, yes, but boooring! 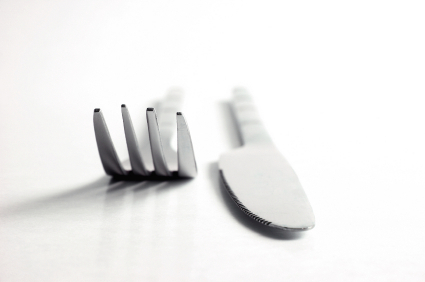 ), they have certain rules that the chefs must abide by (like, no hummus or veggie burgers). 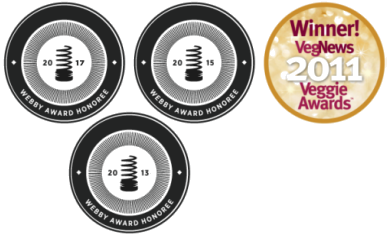 The winning dishes will be voted upon by the public, and the restaurants with winning dishes will win a Bull City Vegan Challenge certificate for display, as well as a copy of the cookbook, Great Chefs Cook Vegan. Um, can someone say GENIUS? We are ga-ga for the Bull City Vegan Challenge, partly because it’s a totally positive, win-win endeavor, which makes veganism look cool (which we all know it is, but some folks still need persuading) — but also because it is effectively bringing veganism to the mainstream and winning people’s hearts and minds by way of their stomachs! We recently spoke with BC/VC co-founder, Eleni Vlachos, all about what prompted this brilliant project, the hopes for what will come of it, and how Anyone Anyname from Anywhere, USA can embark on their own Vegan Challenge. Our Hen House: What was the impetus for this project? Bull City Vegan Challenge: Durham is such a progressive town in so many ways. When I moved from Seattle, home of the 15+ vegan restaurants, to Durham, home of 0 [vegan restaurants], I was surprised since there were so many other forward-thinking movements in the town. At one point between tours last year, I contacted a chef about adding a vegan breakfast/brunch item to their menu, and was surprised to learn she was ‘fooling around’ with tofu. It gave me hope that change within the existing structure was possible. My friend, Chef Shirle, took it to a whole new (and more fun) level when she invented the idea of making it a chef challenge rather than simply asking them for vegan options. It creates awareness and incorporates fun all in one fell (hopefully delicious!) swoop. She also began monthly vegan brunches and recently transfered it to other chefs. Last month, there was a line of 163 people within the first 30 minutes. OHH: Durham isn’t necessarily known for being veg-friendly, but it’s quite the “foodie” town. What kind of reactions do you anticipate from the community? BC/VC: Durham is up for most anything. As long as it is quirky and accommodating, it’s Durham. I anticipate some people will not participate, but based on turnout for the vegan brunches, I’d say a large number of flexitarians will be playing along in addition to the huge veg population. OHH: Can you describe what you hope the community of Durham — both restauranteurs, press, and the general pubic — will come away with after the Challenge? BC/VC: Chefs have a varying familiarity with good vegan cuisine. I brought around marinated homemade seitan to expose them to a non-tofu protein. Many had not heard of it. I am hoping that Chefs will further discover the delicious adventures of vegan cooking and add more options to their menus. In turn, we hope the public will request and support these options and eventually have access to a wider variety of creative vegan dishes. In the end, I want it to be easier for people to make vegan choices. Convenience and tasty vegan options equals less suffering. Ultimately, no matter what happens with the menus of Durham restaurants, we have created awareness about the need for good vegan options. OHH: Have you encountered any hostility while approaching restaurants and asking them to take part in the Vegan Challenge? How have you handled that? BC/VC: Only two restaurants so far have not wanted to participate. One was a well-established old restaurant with a chef who said vegan cooking was not “in my flavor profile.” Another said my seitan ‘tastes like chicken’ but then showed us his chicken and said, “what’s the point?” This is from a chef who reported that the veggie burger was the NUMBER 2 seller on his menu! In this case, it might be a matter of fear of not doing well in the contest. Rather than get upset, we thanked this chef for considering the contest. It only hurts animals, in the end, if we get angry or negative with the chefs who are not interested. Better to leave a good impression for future dealings. OHH: How can people start this kind of Vegan Challenge in their own communities? BC/VC: That is a wonderful idea and one I hoped would happen. They are of course welcome to contact us for ideas, at bullcityveganchallenge@gmail.com, but on my to-do is to create a DIY ‘kit’ for activists. I think, in this case, it was very important that my BC/VC partner, Chef Shirle, is a patron of most of these restaurants and knows many of the chefs. Working with a non-veg advocate who is an enthusiastic supporter of veg cuisine is a great way to ensure the chefs are more likely to participate. Short of that, make sure you do eat at the establishments you are approaching, or at least have some familiarity. Even if the vegan food they currently offer is not great, you will at least create a relationship or base for your future request.